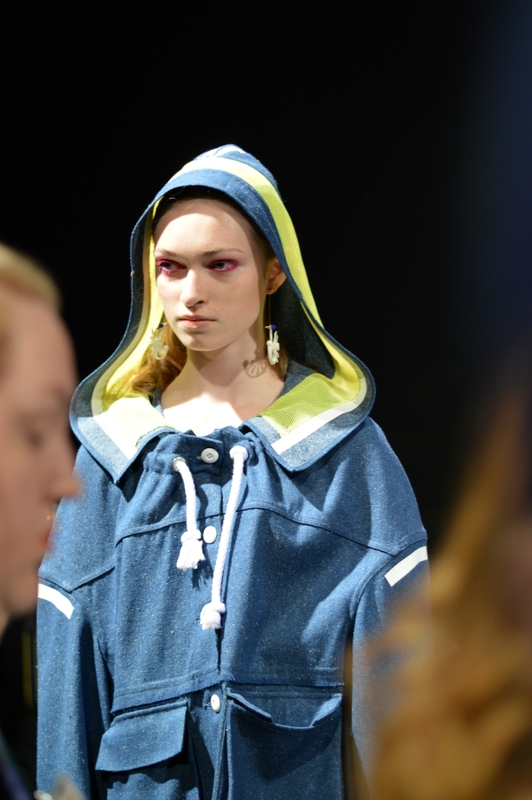 Held at the Institute of Contemporary Arts, the Min Wu presentation was filled with playful uses of fabric and colour. 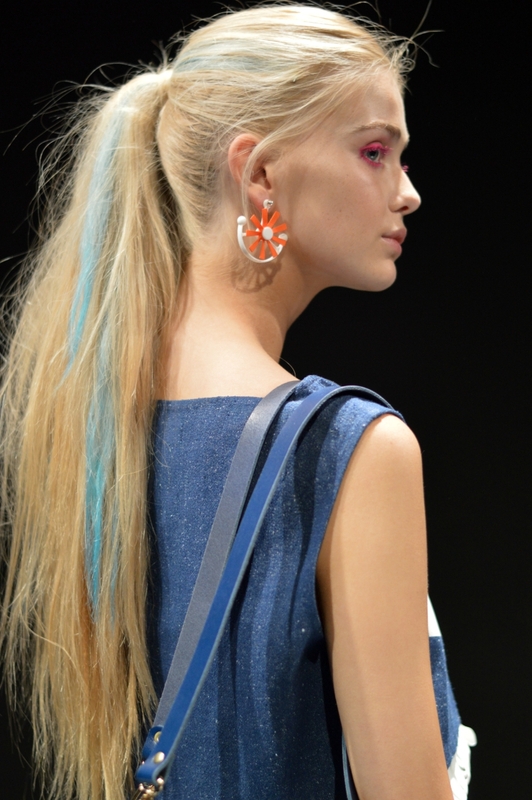 The models had pastel hair, bright pink eye makeup and earrings reminiscent of '60s kitsch flowers. 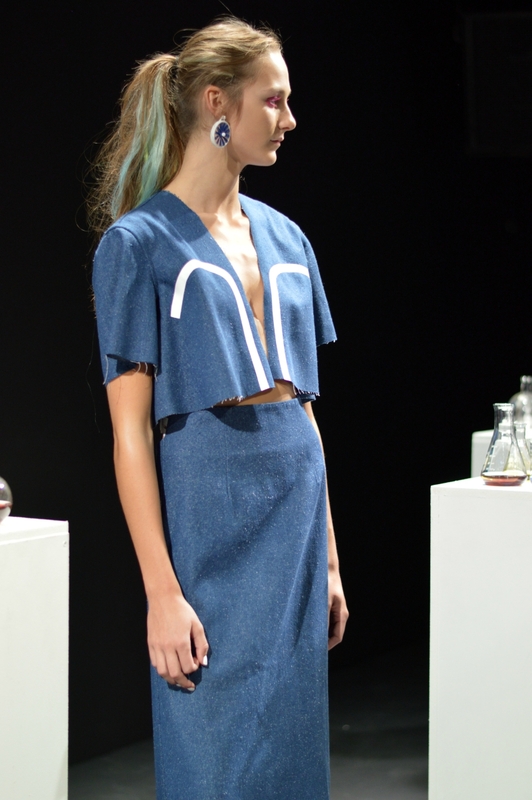 The blue denim-esque collection was my favourite, with the strips of white and green recurring throughout. 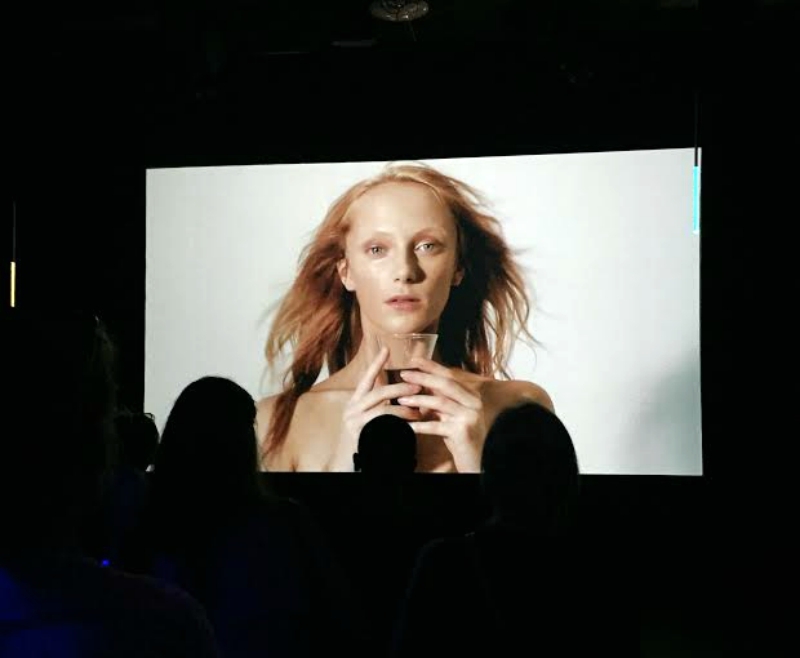 The short film that played on a loop in the background was entitled 'Adjusting/Healing' and was a whimsical montage of models drinking from flasks with close ups of the clothes. 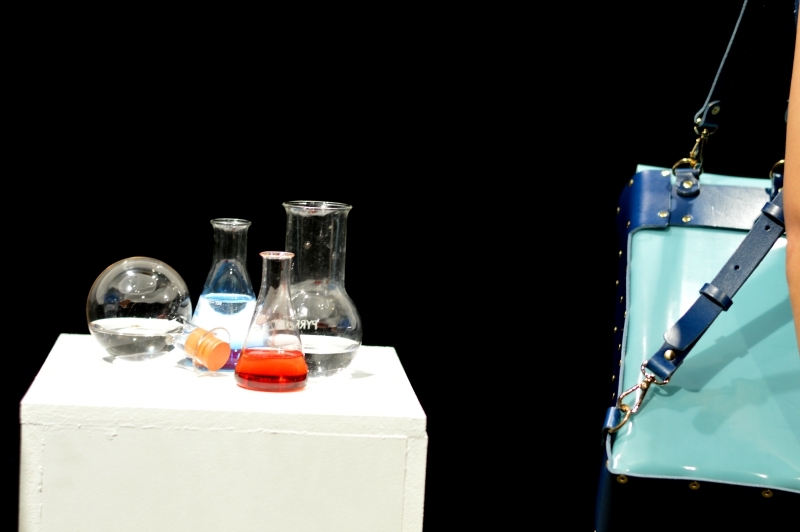 There were elements of alchemy throughout the collection, with flasks housing colourful liquids placed between the models. The room was lit with UV light and had glowsticks hanging from the ceiling, adding to the mystical atmosphere. 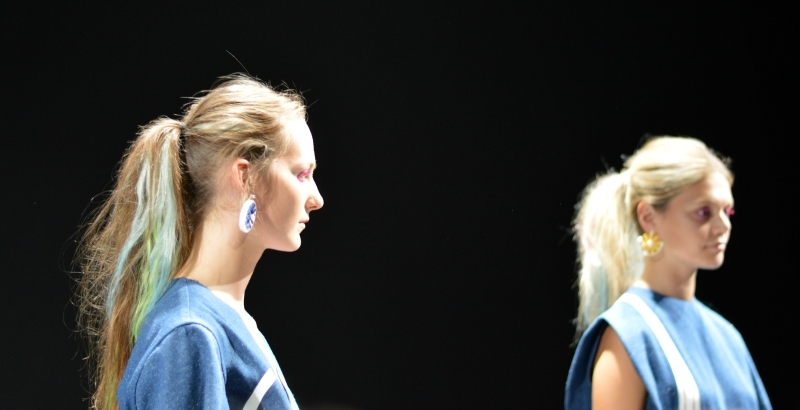 The silky draped pieces had harsh white straps, adding a masculine edge to the typically feminine colour scheme and structures. 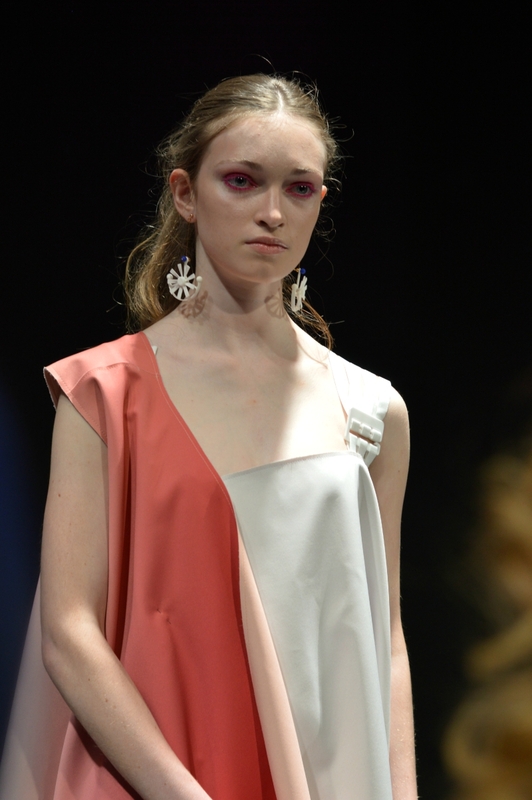 Overall, a unique and fanciful collection by the Chinese designer.